Fifteen-year-old Jessie is angry with her father for sending her on an outdoor survival program for troubled teens. Confused about her life back home and unsure of herself, she is drawn to the powerful personality of a teammate, the charismatic Troy. 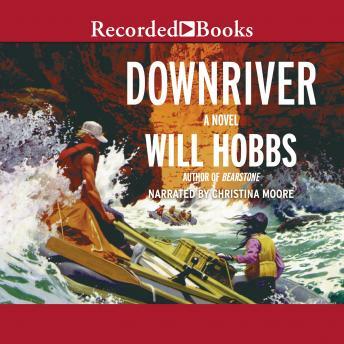 At their first opportunity to rebel, she and her six companions "borrow" their instructor's gear and attempt the dangerous Colorado River through the Grand Canyon on their own. With no maps or guides, they face roaring rapids, drenching rain, injury, and conflict among themselves. The further they travel, the more they realize that the whitewater may be the least of their problems. There's more to Troy, their self-imposed leader, than any of them could have predicted. Chosen by the American Library Association as one of the one hundred Best of the Best Young Adult Books of the past 25 years, Downriver will captivate young readers with its heady dose of excitement, entertainment, and suspense.